This is a complete game template that can be built for Android or iOS. The goal is to explode all of the bombs that fly over the screen. 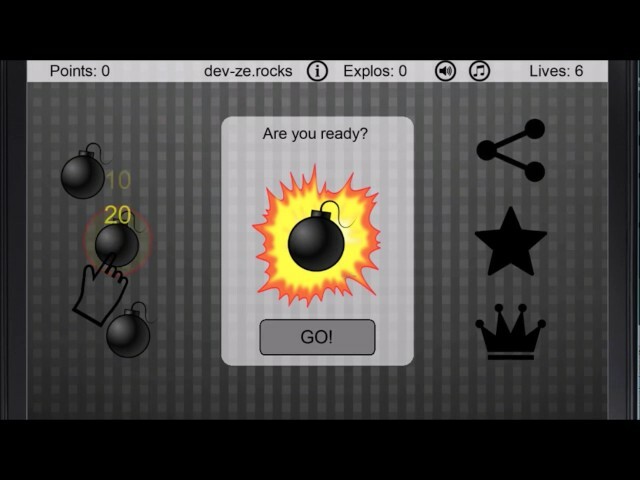 Tap and hold the bombs to increase their explosion radius and thus the points multiplier. Every level has a certain amount of bombs that need to be exploded and the bombs get ever faster and change directions. Interstitial and video ads via Appodeal at the end of each game. -easy to change the theme by changing images and colors.